You are here: Home / Scientific / Biology / Can You Hear Me Now? Perhaps the name David Reynard is unfamiliar. But it is his appearance on the Larry King Live show almost twenty years ago — in 1993 — that launched an uproar that simply will not settle down no matter how much scientific evidence is brought to bear. On that show, Reynard discussed his lawsuit against a well-known cell-phone operator, claiming that it had caused a brain tumor that killed his wife. His lawsuit was dismissed in 1995, but the idea that cell phones cause cancer is one that has persisted. Just a couple of days ago, even, the city of San Francisco stated its approval for a bill that would require retailers of cell phones to display information regarding the level of radiation emitted by each cell phone sold. The idea that cell phones could cause cancer goes against every scientific understanding of the mechanism by which cancer is caused. Cancer is caused by some agent — and there are very many that are known — breaking chemical bonds to produce mutant strands of DNA in cells that reproduce to form a tumor. Known agents include radiation, some chemicals, and a small number of viruses, but they all act to create cancer in this same basic way. But not all viruses cause cancer. Not all chemicals cause cancer. And most certainly not all radiation causes cancer. For radiation to break chemical bonds, each of the photons must have a certain energy, and the radiation emitted by cell phones does not reach that threshold. It does not even come close to reaching that threshold. Cell phones emit electromagnetic radiation, which has a whole range of energies. 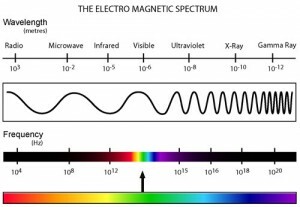 Once the electromagnetic energy is into the ultraviolet region of the spectrum, it is energetic enough to break chemical bonds. This is why the ultraviolet radiation from the sun causes skin cancer. It is why the even higher-energy X rays that may be received during medical exams are even more dangerous. And why the yet higher-energy gamma rays released during nuclear blasts can be extremely dangerous. 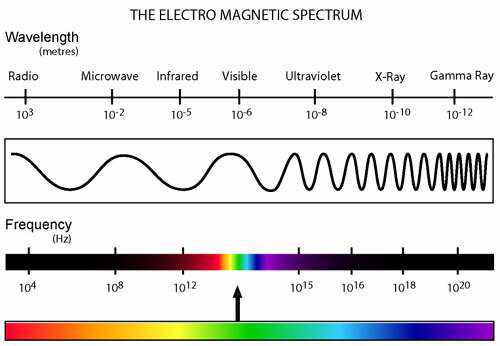 But cell phones emit radiation at the microwave range of the spectrum, even lower than visible light. Their energies are about a million times lower than the energies needed to break chemical bonds. It is fair to say that a person is more likely to develop a tumor from light from a reading lamp that he is from cell-phone radiation. If the epidemiological studies were all that there were, maybe — maybe — those claims might be justified. But that is not all there is. There is also the basic science of radiation and its effect on chemical bonds, and that science is extremely well understood. In light of that fundamental understanding, ordinances like those proposed in San Francisco seem at best misguided. And at worst alarmist.